Lovers, Alfred Carl once said, “Pink is the color of romance and a friend tells me that the girl with the pink dress at the party is the one who is selected for each dance.” But it is not just the girl in the pink dress whom is selected for each dance at the party, darlings; it is also the girl in the pink earrings who is permitted such an honor – as one (1) of you glorious glamazons will soon be proving to the world! It’s your lucky day, kitty cats! Café Fashionista has teamed up with Sheyna.com, a website wherein you can create one-of-a-kind, Do-It-Yourself pieces that will then be produced and shipped your way, or browse the ambrosial accessories thought up by artisans (or your friends and family! ); but today, we are bringing one (1) lucky lady a pair of Tourmaline Rondelle Cluster Earrings (as pictured above). ♥Visit Sheyna.com and choose your favorite item. ♥For one (1) entry, leave a comment on this post stating what your favorite Sheyna.com item is between now and Friday, March 25, 2011 at midnight PST. ♥ For two (2) entries, Twitter about this giveaway, and leave a comment on this post stating what your favorite Sheyna.com item is between now and Friday, March 25, 2011 at midnight PST with your Twitter URL. ♥ For three (3) entries, become a follower of Café Fashionista on Blogger/Google Reader/Google Friend Connect/Twitter, and leave a comment on this post stating what your favorite Sheyna.com item is between now and Friday, March 25, 2011 at midnight PST (if you are already a Café Fashionista follower, please say so in your comment). I will randomly pick one (1) name out of a hat (who knows, it could be yours! ), and announce the winner on Saturday, March 26, 2011. Thanks to Sheyna.com for the picture. What a cool give away. awww wish I lived in the States for this give-away!! I also follow you in every possible avenue (except maybe Twitter, since I loathe Twitter.). I love this post - obsesssssssssed. Keep posting, I'll be back to check out your new posts because I can't get enough! Sincerely, the fashionista at the silent swagger. I'm really loving the initials and birthstones necklace. oh I want to win these Pick me! Pick me! I love the Pearl Charmer earrings! My fave is the Turquoise Dream necklace! They are all so pretty! Wow! What beautiful things, I am loving the inital and birthstone necklaces. PS: I'm already a follower. Pity I'm from Europe! But nice giveaway! The Black Onyx Earrings are the best! I am a follow of your blog! My favorite item is the Ruby Chandelier earrings. 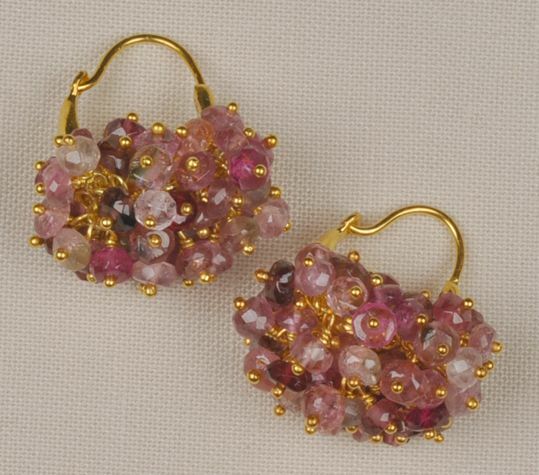 I just lost an earring of my favorite pair on my commute the other day, it would be so nice to get a new pair of earrings! I am a follower on twitter & GFC. I'm tweeting about this great giveaway! My fav is the Ruby Chandelier! Love all of the colors! The 'purple bombs' earrings are my fav! Good luck everyone! Too bad I can't enter! so wish I lived in the US! My favorite thing was the jumka earrings. these are definitely cute, pink baubles for sure! They are so cute! Great colour...and look a bit like handbags! Good luck to all! I really like the Pretty Blue earrings. Also I'm a follower on Google! I love the busy n fun necklace! I like the Pearl Charmer Earrings.